Goree Island is a major tourist destination where the still-standing slave house "Maison des Esclaves" serves as a memorial to the sad story of human trafficking vividly recounted each day to hundreds of visitors. 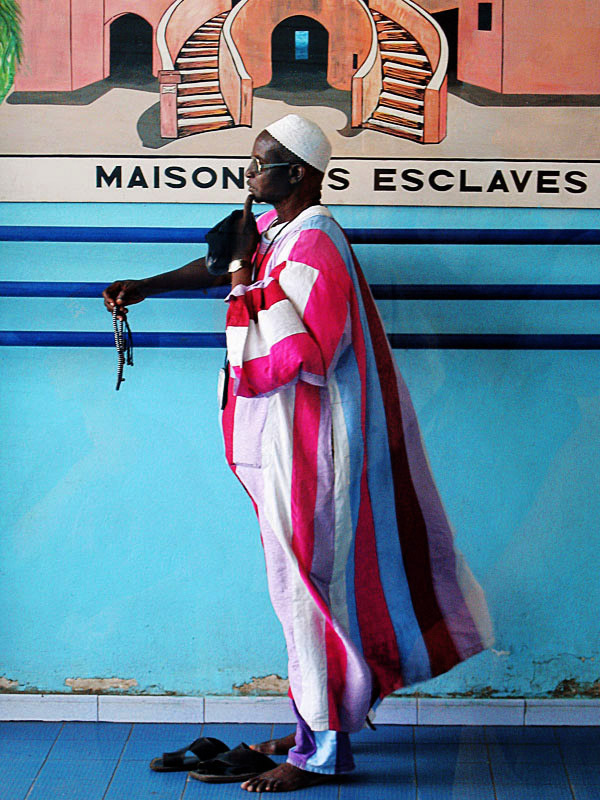 This Muslim man, probably a Mouride, is waiting to embark the ferry for Goree Island. It is not uncommon to see men and women meditate with the help of prayer beads when they are waiting for or riding public transportation.